Researchers at Aalto University, Finland, have developed anticancer nanomaterials by simulating the volcano-induced dynamic chemistry of the deep ocean. 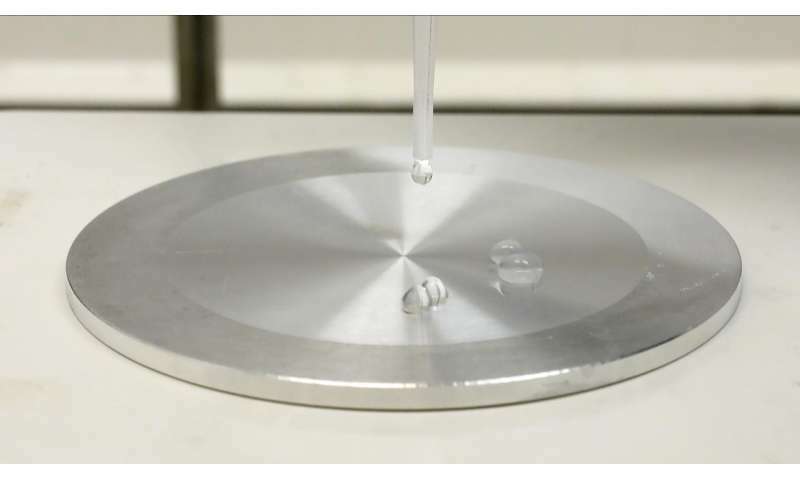 The novel method enables making nanoclusters of zinc peroxide in an environmentally friendly manner without the use of additional chemicals. The as-synthesised zinc peroxide nanoparticles can be used as a tool for cancer therapy and against other complex diseases. The researchers have created these size-tailored nanoclusters using the Leidenfrost effect. It is an event commonly observed in the kitchen while cooking—droplets on a hotplate will hover over the surface instead of making physical contact. 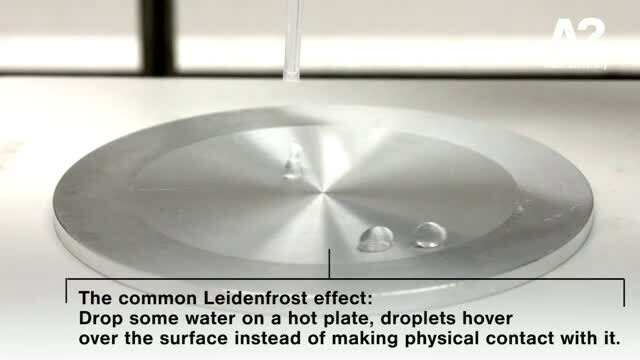 In the Leidenfrost effect, a liquid close to an object much hotter than the liquid's boiling point produces an insulating vapour layer, preventing the liquid from boiling rapidly. Near volcano gates deep in the ocean, or under special conditions in the lab, the vapour layer can cover a large area without rising away from the surface, while making the molecules in the liquid above behave in an exceptional way. "The dynamic underwater chemistry seen in nature is inspiring for the next generation of eco-friendly nanochemistry. In this context, green synthesis of size-tailored nanoparticles in a facile and scalable manner via a dynamic process has not been introduced so far," says Professor Mady Elbahri at Aalto University. "We demonstrate the Leidenfrost dynamic chemistry occurring in an underwater overheated confined zone as a new tool for customised creation of nanoclusters of zinc peroxide. The hydrodynamic nature of the phenomenon ensures eruption of the nanoclusters towards a much colder region, giving rise to growth of monodisperse, size-tailored nanoclusters." 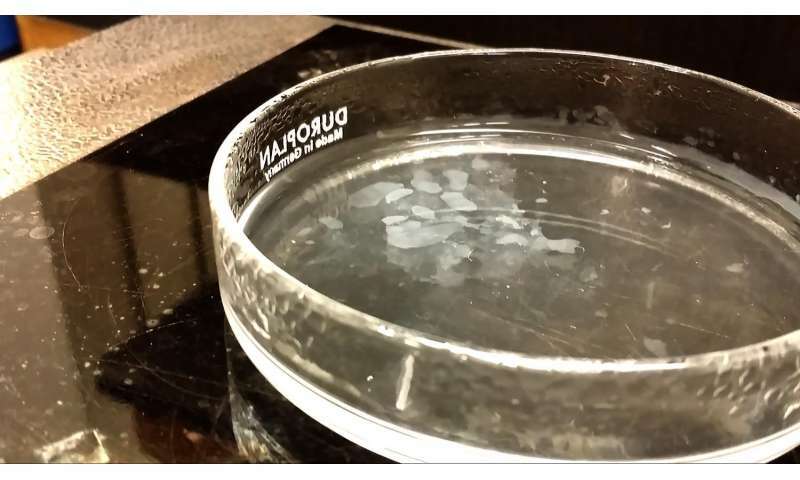 "Our study can pave the way for sustainable synthesis of monodispersed particles," says Ramzy Abdelaziz, a postdoctoral researcher at Elbahri's group and coauthor of the study. From a biomedical perspective, peroxides act as an oxygen supplier, and thus can be exploited in the treatment of a wide variety of diseases induced by anaerobic and even cancerous cells. "Our nanoparticles have been investigated in terms of cytotoxic effect on suspension and adherent cells to prove their applicability as cancer nanotherapeutics," says Duygu Disci-Zayed, a former research group member. Having synthesised the monodispersed ZnO2 particles, the researchers performed a series of initial experiments to determine the impact of these nanoparticles on both cancerous and normal cells. According to their study, ZnO2 nanoparticles have the potential to kill tumor cells by apoptotic and non-apoptotic mechanisms.